We are the youth group in St. Vital Parish that has been meeting for the last two years. We gather with youth in Grades 7 - 12 in the church basement twice a month after the 5 p.m. mass on Saturdays, from about 6:15 - 8:30 p.m. One of our monthly sessions is more formalized or structured; the second monthly meeting is a social gathering and we, for example, go skating or bowling, or we have a games or movie night. Our formal sessions begin with prayer and an icebreaker/game. We then engage in a published program that helps our young people grow in their knowledge and practice of the faith. This is often followed by a prayer and praise session upstairs in the main body of the church. The evening always concludes with some social time and refreshments. The youth are invited to attend a retreat sometime in the spring. This year, we have decided to use a program called Chosen: This is our Catholic Faith. As the program involves twenty-four lessons, we plan to take two years to complete the program. The leadership team is excited about this program as it makes use of highly engaging resources that include compelling videos, a useful booklet for each participant, fun activities, and meaningful stories and testimonies. It has been developed by some of today's most passionate and dynamic Catholic youth ministers. 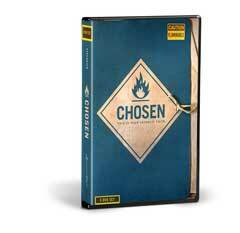 An introduction to the Chosen program can be viewed by clicking on the link below. The video is three minutes in length. There is a cost for the student books: $30.00. (This can be paid in cash or by cheque made payable to St. Vital Parish.) Of course, these books will be used for two years. Otherwise, there is no registration fee for participation in The Rock. The youth are invited to take turns bringing snacks for the evening. While all youth in the parish are invited and encouraged to participate! 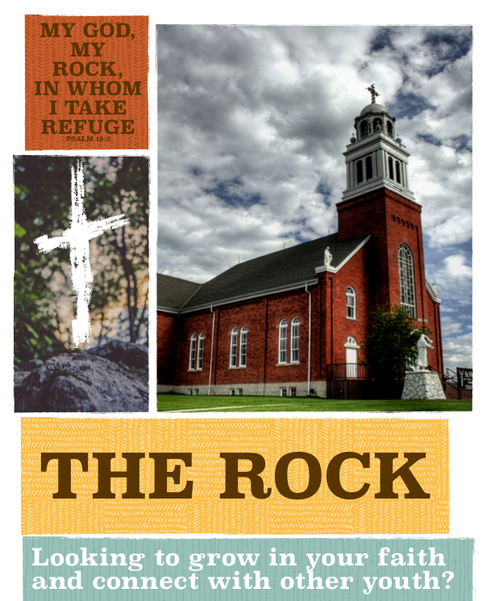 Should you have any questions about The Rock or the Chosen program, please contact Louis Kloster by email: lpkloster@gmail.com or call: 7809296024.